What Is The Best Beginner Drum Set? This drum set is the best beginner drum set on the market, and for good reason! It is designed to a similar specification of the legendary Pearl Export – the world’s best-selling drum set. The Pearl Roadshow drum set comes complete with everything you would need to begin playing immediately. Included is a set of sturdy and durable hardware that is the best quality I have experienced from a beginner drum set. What you can expect from this drum set is the renowned Pearl quality that has given the company such a strong and long-standing reputation. The drum shells are made from poplar wood, which is the same wood that Pearl use for their Export series. The drum shells are very well constructed and produce a strong and clear tone. You have the choice of 4 different drum set configurations and 7 different color options to suit your tastes! The kick drum delivers a strong punch, whilst the toms sing with a delightful warm tone and the snare drum provides a great sounding crack. These are definitely the best sounding beginner drums available. The cymbals included in this drum set are by no means excellent, but they are significantly better than the cymbals provided with other beginner drum sets on the market. The Pearl Roadshow is a seriously impressive beginner drum set. These drums are a lot of fun to play and everything included is well made and durable. This drum set will provide the best possible start to any beginner’s drumming journey. In second place we have Ludwig’s affordable entry-level drum set package which also includes everything you need to begin drumming straight out of the box! Ludwig has created this all-in-one package to provide a solid foundation for a lifetime of drumming enjoyment. With this drum set you will certainly be equipped with the tools for a solid start! Much like the Pearl Roadshow drum set, these drum shells are constructed of 9-ply poplar hardwood. This is a good choice for a beginner drum set, and the wood produces great tonal qualities that allow the drums to resonate with a clear and well-rounded tone. After being tuned up correctly, these drums sound great thanks to the quality poplar shells. The toms are warm and have a good amount of sustain. The kick drum produces a nice punchy tone and the snare drum is crisp and cuts through well. The hardware included in the Ludwig Accent drum set is of a good quality and I particularly like the kick drum pedal. The hardware is sturdy and holds up well whilst being played. Ludwig has produced a great beginner drum set with the Accent series that is also fantastic value for money considering the quality of the components for the price. The cymbals included aren’t fantastic, but they are of a perfectly decent quality for a beginner. This drum set will certainly last years of playing, and it has the potential to sound even better with high quality drumheads. Ludwig is a brand you can trust to make great products and the Accent series is no exception. Mapex are a world-renowned manufacturer of quality drums, and here for review we have the Mapex Rebel drum set, which also includes everything needed to begin playing the drums right away. This drum set features Mapex’s brand new lug design as well as other great features for a beginner drum set, such as a self-muffling bass drum head and high quality double braced hardware. These drums deliver a great tone at an attractive price, featuring select poplar shells much like all of the previously reviewed drum sets. This drum set is a ‘fusion’ sized configuration, which means the toms are slightly smaller, and have a shorter sustain and higher pitch. What I particularly like about this drum set is the quality of the hardware included. The tom mounts are very easy to use and offer lots of adjustability, whilst the kick drum pedal is smooth and the cymbal stands are all sturdy and robust. Overall, this is a quality offering from Mapex into the beginner drum set market, and everything included is of a good quality for its price. 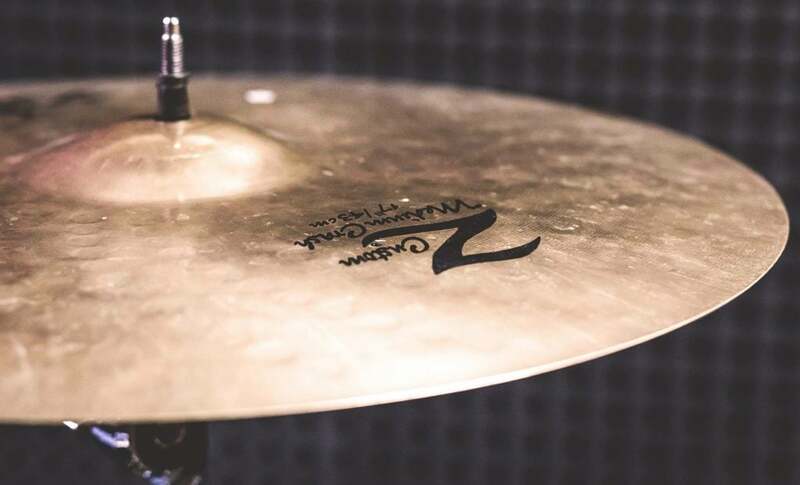 The drumheads and cymbals are the weakest parts of this package, and I would recommend upgrading these fairly quickly to obtain the best sounds this drum set has to offer. Here we have a brilliant value beginner drum set produced by Sawtooth that includes everything to begin playing drums in one highly affordable package. Sawtooth have made a smart choice in opting for poplar shells for these drums, and they produce a smooth and well-rounded tone. When tuned properly these drums do sound great! This drum set comes in the popular ‘rock’ shell sizes that make for versatile playing. Not to mention the blue sparkle finish on this drum set which I think looks fantastic! The hardware is sturdy but it is not as heavy as the hardware included with the Pearl Roadshow or Ludwig Accent drum sets. However, it still gets the job done and holds up reasonably well to playing. The Sawtooth Rise drum set includes everything you need to play the drums and is in my opinion the best beginner drum set for under $300. I have played lots of cheap drum sets, and this one is noteworthy of being labelled a great entry-level package. Out of the box this drum set is easy to assemble and you’ll be playing in no time! Ensure to take the time to tune the drums correctly and you’ll be pleasantly surprised by the sound of them! This beginner drum set is made by Gammon Percussion. It is the cheapest on the list, and the drum set components do lack the quality of other kits like the Pearl Roadshow drum set. But if you are looking for something very affordable then this drum set will still hold up well. I would recommend this drum set as being suitable for a teenager looking to start learning the drums or as a gift for someone interested in beginning a new hobby. The Gammon Percussion drum set comes in the ‘rock’ configuration of 12”, 13” and 16” toms, a 22” kick drum and a 14” snare drum that all produce clear tones when tuned up correctly. The stock drumheads are quite poor but they will suffice for the beginner. The hardware is reasonably sturdy and includes stands, a kick drum pedal and a drum throne. The cymbals will definitely need upgrading sooner rather than later, as they are very basic. Overall, this is the best drum set to buy if you are on a low budget. The trade-off is going to be a loss in quality, and whilst this kit still plays like any other drum set, it is significantly less refined. Learning to play the drums is an incredible journey. It is immense fun and provides a wonderful creative outlet that also offers numerous significant health benefits. Buying your first drum set can be daunting, and there are a lot of drum sets available that are cheap and enticing. But lots of these beginner drum sets are very poorly made. I have encountered many poor quality beginner drum sets in my time, from unknown manufacturers with bad manufacturing techniques. 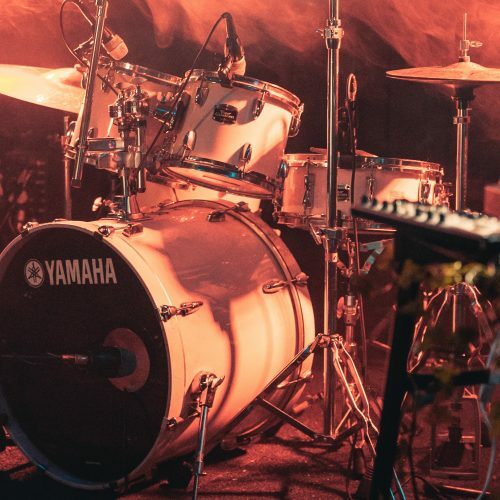 This is why I have written this buying guide – to help you avoid bad products and give yourself a strong start to learning the drums with the correct tools that will help you on your drumming journey. What you want to be looking for in a beginner drum set is quality components all round. Everything included in the package should be robust, durable and suitable for purpose. There is always going to need to be a balance of quality and price, and the key is to find an optimal region where the two meet for your benefit of obtaining high quality at an affordable price. I believe the Pearl Roadshow Drum Set is the epitome of this. The drum shells should be well formed, with precise bearing edges and without any splits in the shell. The finish should also be even and there shouldn’t be any dents or evidence of damage whatsoever. Poplar is the most desirable wood for entry-level drum sets. It is a dense hardwood that is highly durable and produces a good sounding tone for drums. I owned a Pearl Export drum set for 8 years and this was made with poplar wood shells. The Pearl Export is the most sold drum set of all time and this is testament to poplar’s use within drum manufacturing. 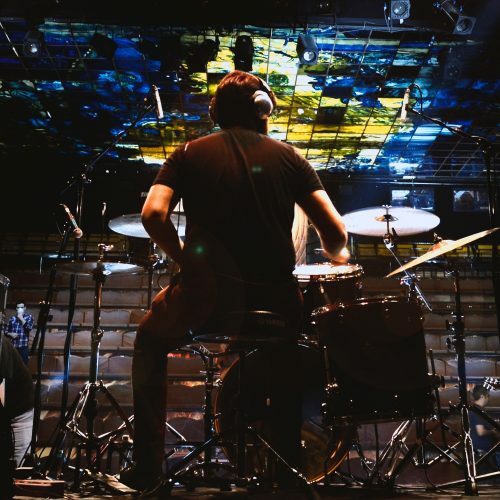 How Long Should A Drum Set Last? With proper care and maintenance a quality drum set should last years. 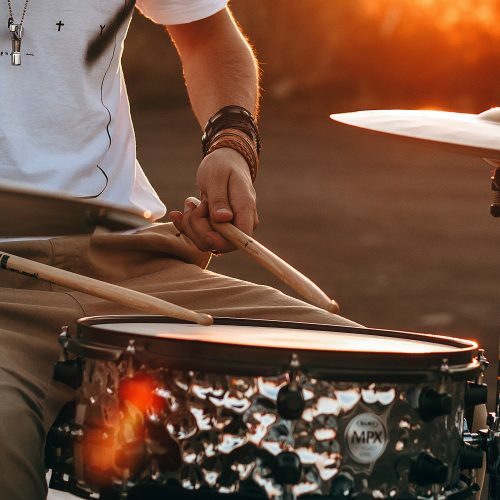 A professional drum set should last a lifetime with due care, but whilst being looked after a beginner drum set should still last over a decade. Drum shells and hardware are both very durable and the only reason why they might break or warp is if they are treated with negligence or thrown about. They are also likely to be damaged if they are not kept in cases whilst being transported. I would strongly advise you upgrade both the drumheads and cymbals that are included with beginner drum sets as quickly as possible. The metal used for cymbals in beginner drum sets is of a poor-quality brass, whereas high quality cymbals are made from bronze. The stock drumheads included with beginner drum sets are cheap and thin. They deliver an awful lot of sustain and resonance and will require dampening to be able to give a clearer and concise tone. I would recommend upgrading stock drumheads to professional quality drumheads produced by Remo, Evans or Aquarian. When buying musical equipment there is always going to be a balance between quality and price. In essence, there’s a certain aspect of “what you pay for is what you get”. But with affordable beginner drum sets, it is certainly worth paying more for a better quality drum set like the Pearl Roadshow, which although is slightly more expensive, still represents fantastic value for money. It is important to consider how interested you really are in looking to play the drums, or for whom you might be buying a drum set for. Learning to play the drums is a journey that takes a lot of commitment and dedication. You won’t become John Bonham or Buddy Rich overnight! So if you are serious and really want to kick off your drumming with a great quality drum set that will give you the tools to excel as quickly as possible, then I would strongly recommend the Pearl Roadshow drum set as your first port of call. 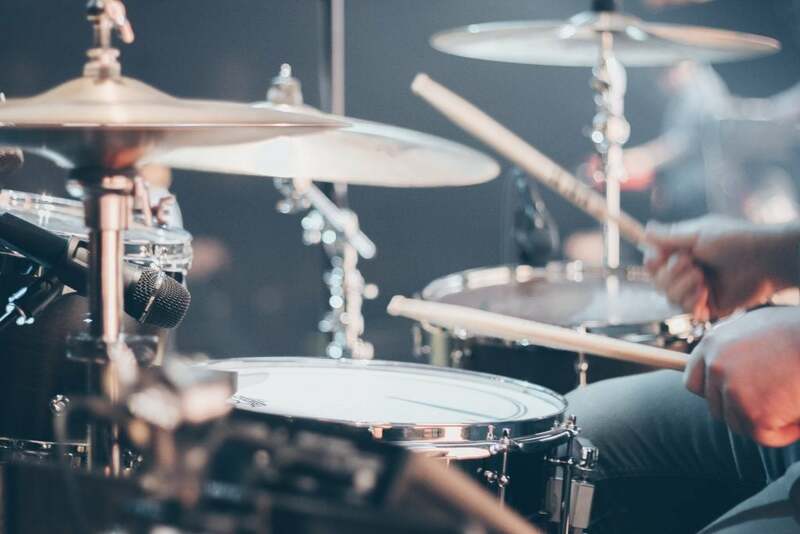 But if you are on a budget or want to gift a drum set to a younger person who might not have quite the expected interest or dedication, there are other more affordable options in this list that will all perform well.